Microsoft Office 365 Email Hosting is a set of products that includes applications like Collaboration and production. Basically, it includes Microsoft suites like One Drive, Microsoft word, excel, Skype and much more. Office 365 comes with lots of plans so you can choose the best one which you like most. You can choose its services as per your business need. With it, you will get stability, get full root access, able to do any changes if required as well choose the software options you want. Sometimes due to lack of storage capacity, we try to clean up our mailbox. But with Office 365 you will get a tendency to keep all your email messages in your inbox as it gives you a platform to store your huge amount of data for a long time. It always runs with the latest version of the software released by Microsoft. This is the way by which you can introduce yourself with the latest version of the software, get all new features and enhancement instantly. Any application upgrades, security and service packs are automatically pushed to users. 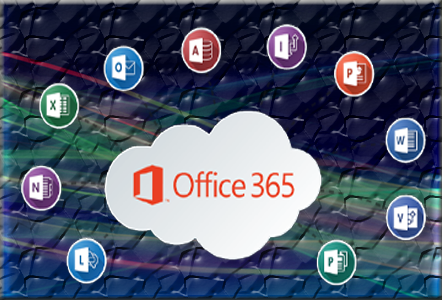 Office 365 is specially designed for the latest version of any services. Office 365 has advanced capabilities to protect your information from unauthorized users. It provides Anti-malware and anti-spam filtering on your mailboxes and keep your email being up and always running. It prevents mail server of sending sensitive information to unauthorized users. Apart from that it has disaster recovery solution, guaranteed 99.9% network uptime, server monitoring expert team, financially-backed service level agreement and much more to secure your data. It is very easy to use and maintain office 365. Automatic patching saves your time and effort of maintaining the whole system. It provides the user’s access to contacts, email, calendar and all major browsers from any part of the world. So you can easily handle your all task without going.